Bristol is often portrayed as a city which welcomes everyone, a city of sanctuary, a home for migrating communities. Whilst there are many examples of solidarity – people challenging racism and building communities – the border remains a hostile force within the city. People are billed for maternity care they can’t afford, detained from Patchway police station when attending mandatory appointments, moved from tents in Castle park, incarcerated in Bristol Prison, denied hospital treatment at BRI and refused private and social housing – all because they don’t hold the right papers. Businesses and homes are raided by Immigration Enforcement based in Portishead. Private companies located in Bristol, such as G4S and Mitie, make profit from both the transfer and detention of people after these raids. In addition to this, in 2017 Bristol City Council applied for and received extra funds from the Home Offices Controlling Migration Fund for enforcement activities – with £180,000 aimed at targeting, detaining and removing homeless EEA nationals, and £321,750 at investigating ‘rogue’ landlords and migrant tenants, in cooperation with the police and immigration enforcement units. Since April 2018, patients have been forced to show status documents to prove they are eligible for NHS treatment that is not deemed “immediately necessary”, or pay upfront. People who receive emergency treatment are often billed. 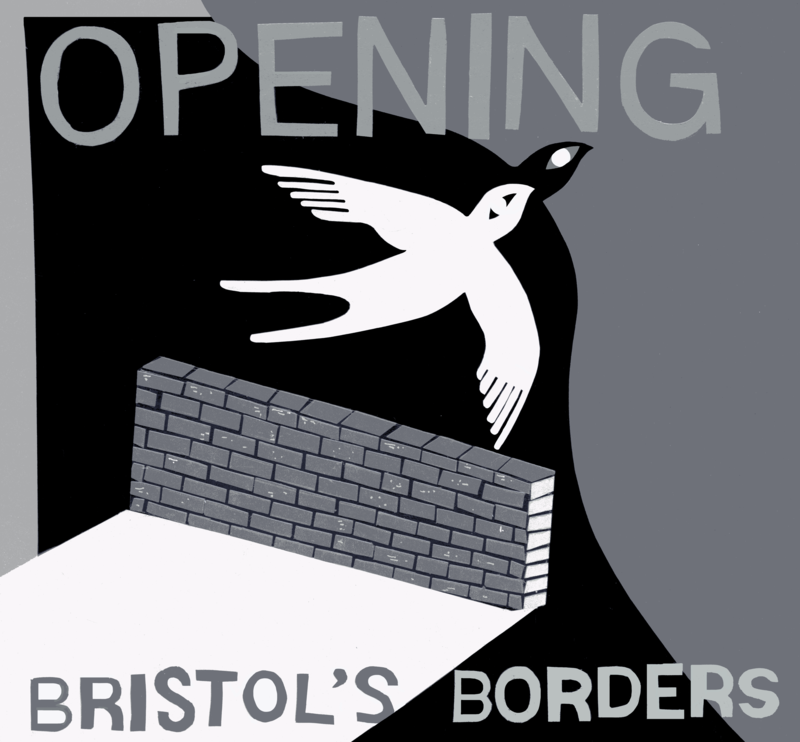 Opening Bristol’s Borders is an opportunity to come together, discuss and challenge this hostile regime. The border is everywhere. No Borders. No Papers. No Control. Lets Open Bristol.